On Monday, Ledecky swam in the US time trials, winning the 400 meter freestyle in what’s essentially become a formality for her. 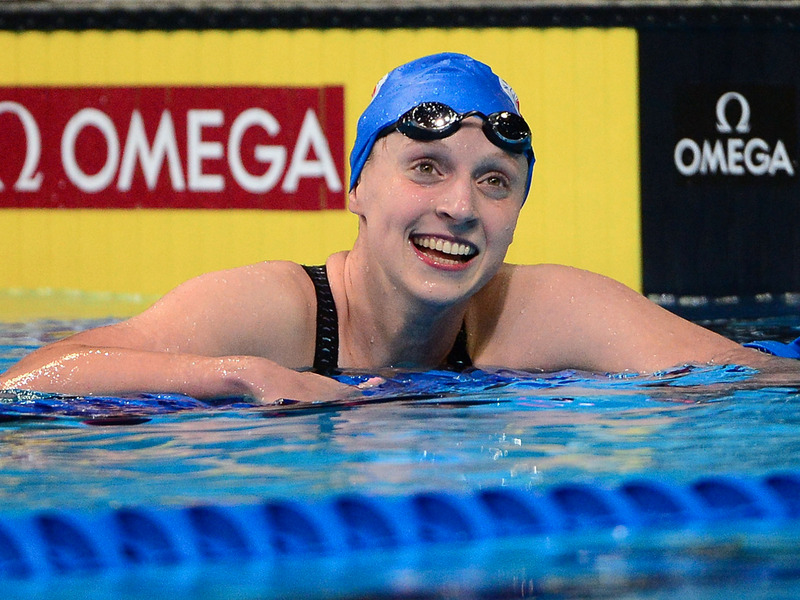 Incredibly, Ledecky’s time of 3 minutes and 58.98 seconds was considered a disappointment, as it came slightly less than a second away from the world record — which she owns. Despite audible disappointment from the crowd, it was also the fastest time in the world this year. Perhaps even more astonishingly, Ledecky is so good that her fellow swimmers have a hilariously low bar for what they consider to be a successful race against her. 21-year-old Leah Smith gave Ledecky chase throughout the race, finishing at 4:00.65, just under two seconds behind Ledecky. Afterward, Smith described her second-place finish, summarizing how dominant Ledecky is (emphasis ours). If disappointing for Ledecky is the third-fastest time in history, she’s going to come home from Rio with a lot of medals.